Guidance and Career Education offers to students, teachers, parents, and the community a variety of services and programs. The Guidance department at Unionville provides support regarding the academic and personal needs of each individual student. Academic counselling may include assistance with course selection, career planning or pathway options. Each student is unique and has individual needs that are important to them. 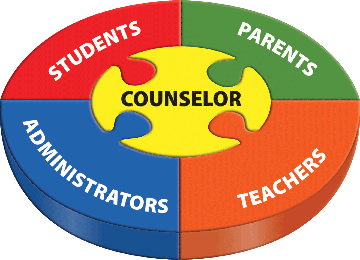 At Unionville, counsellors offer individual appointments to facilitate each student’s needs. We believe in guiding and challenging our students to become independent, healthy learners that consistently work at their full potential. Students can book an appointment with their alpha counsellor through Teach Assist. Please see the counsellor list and booking instructions below. 2. Under the sub-heading select, "Appointment Bookings". 3. Choose your counsellor (based on your last name). 4. Click on the day and time you want to have your appointment. 5. If you need to cancel your appointment for any reason, click "Cancel". If you have any trouble making your appointment, please let the Guidance department know. We look forward to being of assistance to you throughout the coming year.